Writer’s block: we’ve all experienced this frustrating phenomenon, we’ve all spent hours staring at a blank Word Document and a blinking cursor. At least, I assume we all have. If anyone out there in Internet-land has gone an entire lifetime without any sort of writer’s block, make yourself known so I can congratulate you and give you a giant cookie. 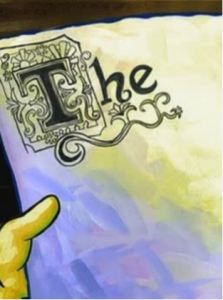 Even SpongeBob has fallen victim to writer’s block. Anyway, before writing this blog, I psyched myself out to the point of a particularly severe bout with this unfortunate affliction. The reason? 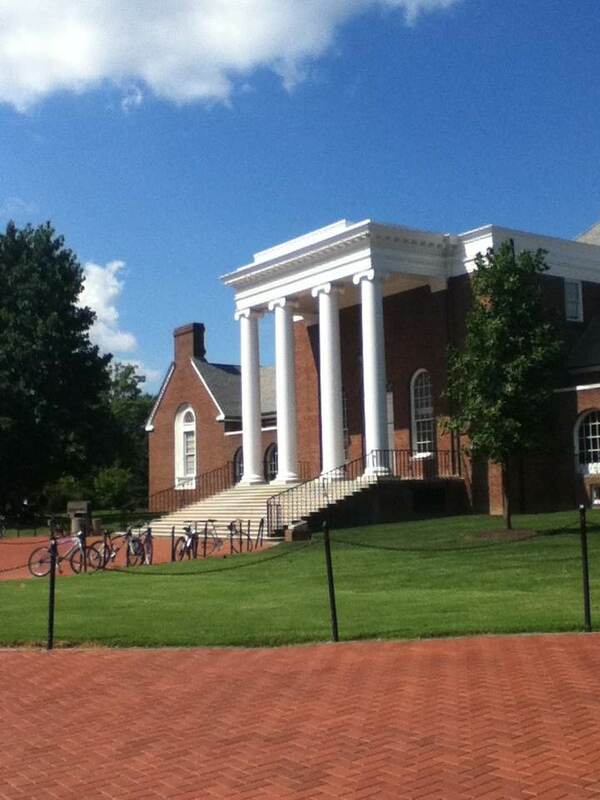 This is my last post – ever – for UD’s South College Blog. *Sniff* I want it to perfectly represent everything my writing stands for, state great philosophical truths, and propose a solution for world hunger. All in that order. Basically, long story short: I had over a million embryonic ideas, but I wasn’t sure if any of them were worthy of being Caitlyn’s Final Blog. So, without further ado, here is one of those initial, budding ideas – which includes its fair share of nostalgia. It’s like a blog within a blog (I’m feeling meta). When I first walked into the New Amsterdam Theatre, I couldn’t contain my excitement. The set reminded me of the sensation of holding’s one breath – the empty street was waiting, anticipating a fresh breeze filled with cherry blossoms and the appearance of someone special. Mary Poppins was my first Broadway show. Even though my Connecticut home is a mere two hours from New York City, my parents were wary about venturing into NYC after 9/11. Hence, it took years of begging, plus the added security of a family friend who knows the city like the back of his hand, in order for a New York trip to actually happen. As for my high school self, I didn’t care as much about the classic tourist destinations like the Statue of Liberty or the Empire State Building; I was a theater kid through and through. I wanted Broadway. Mary Poppins blew me away, just like the ever-changing winds featured in the show itself. 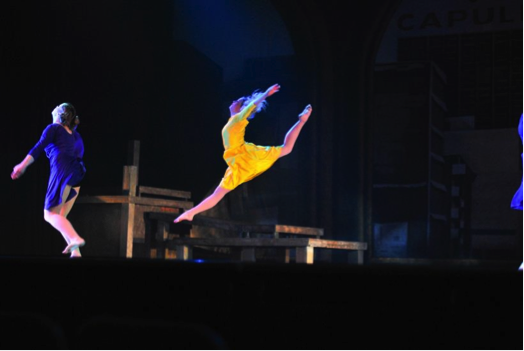 This musical made a lasting impression – Bert literally tap dances upside-down from the theatre’s ceiling at one point – which carried over into my college existence. For my freshman year Honors English course, I selected a class that focused on writing about music. For my final paper at the end of that first UD semester, I wrote about the musical stylings of none other than the Sherman Brothers. Crash course on the Sherman Brothers: they wrote “It’s a Small World,” and composed the music for The Jungle Book, The Aristocats, and, of course, Mary Poppins. That paper was one of my first “college moments.” I stayed up to all hours penning it, and the process is a blur of Mary Poppins music on YouTube, coffee, 3 a.m. jumping jacks…and more coffee. 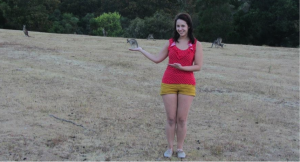 Me and some lovely kangaroos versus the characters of Saving Mr. Banks. Fast-forward to this semester, my last one. When I was home (for either Easter or Spring Break, I can’t remember which), I watched Saving Mr. Banks with my mom. Neither of us expected to love the story of P.L. Travers, author of Mary Poppins, and her creative clash with Walt Disney as much as we did. Half of the story is told through flashbacks of the author’s childhood, which takes place in the dry, sprawling Australian Outback. Not only were these scenes of her rough upbringing both fascinating and unsettling – in the same way that one can hardly look away from a train wreck – but it also brought me back to Australia. Ever since returning from my study abroad trip in the Land Down Unda, I’ve longed to go back. As someone who dreams of being a writer, I sympathized with P.L. Travers and her fight to keep her source material pure – and free from Disney’s corporate influence. But the movie, loosely based on the real-life conflict between Travers and Disney, highlights reconciliation, a give-and-take. For me, reconciliation is everywhere in my life at the present moment. The past and the future, my dreams and reality: all of it is currently in the process of being reconciled in my mind. Mary Poppins selfie, anyone? Finally, one last connection: I was able to dress up as Mary herself with my theatre group recently. *Squeal of happiness* (Not too shabby, right?) Also, please note the practically perfect Australian flag postcard behind me. Well, this is goodbye. 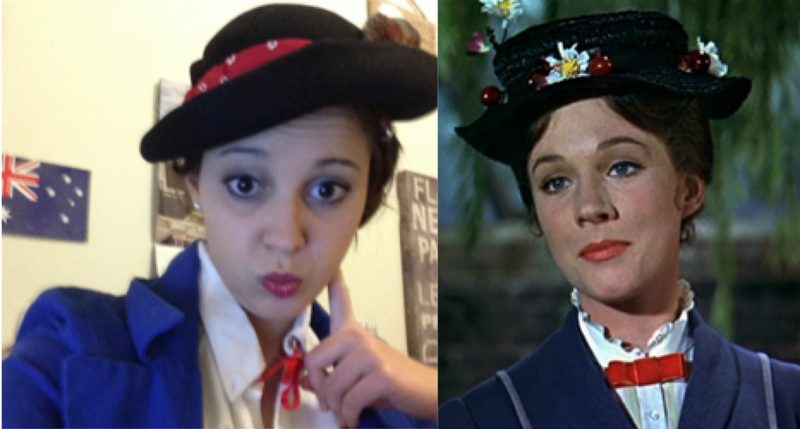 And I have to say it: it’s been a supercalifragilisticexpialidocious year. Even our newest readers know, if nothing else, this about me: I’m a theatre buff. 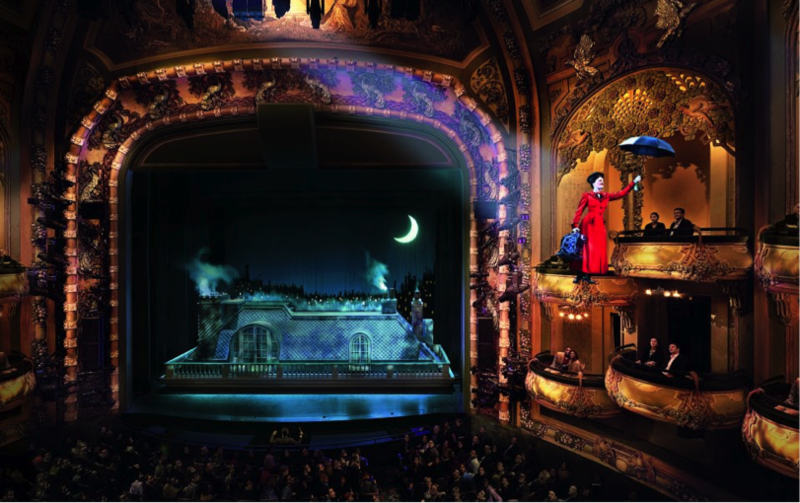 I am the “wait on line at TKTS in the winter cold to see a matinee, sit through rush hour traffic to catch a certain musical, act in just about anything” kind of theatre buff. 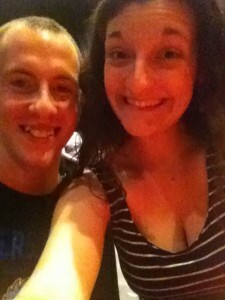 Therefore, it should come as no surprise that one of my favourite events on campus is Student Theatre Night at the REP. Thanks to the Honors Program and our awesome free tickets program for some of the best events on campus, my friend Brian and I got to see Wit last Thursday. Any attempt to express how excited I was about this would do my feelings injustice; I have wanted to see Wit for over a year. Student Night at the REP actually starts with a meet-and-greet the hour before. The theatre buys snacks and drinks, and all the students get to mill around and chat with each other. There are also a handful of raffles; it turned out to be my lucky night in more ways than one, because in addition to seeing an astounding production, I won at $25 gift card to Deer Park! As someone who doesn’t win raffles very often (and who is made a laughing stock twice a year at family occasions that merit playing seemingly endless games of Bingo), that’s notable. Take that, Mom. Wit itself is the remarkably beautiful tale of a 17th Century English Literature professor named Vivian Bearing, who discovers she is suffering – and in fact, all but dying – from Stage IV metastatic ovarian cancer. She agrees to an experimental and highly intensive chemotherapy regimen, consisting of eight rounds of radiation at full dosage, and the play details her life during these treatments as well as reveals a series of flashbacks which tell the tale of Vivian Bearing’s life before her illness. It all sounds quite grim, doesn’t it? Imagine the audience’s surprise when Wit managed to have the room laughing within the first few lines. Vivian Bearing is a wonderfully sarcastic narrator, full of pithy references and comments that make her time in the hospital and her interactions with the people in it far more entertaining than we’d have expected. What is even more captivating than the witticisms (pun intended!) of the comedic moments in the play is Vivian’s touching and deep character development. She begins Wit as a strong, confident woman who stands at the pinnacle of her field of research at the cost of human relationships. However, at the end of the play, Vivian is a shell of who she once was, and is left wishing she had more meaningful memories, more family and friends and kindness and compassion, to look back on. I heard more than one person say that Wit “hit way too close to home for me,” and saw several people, like me, wiping tears from their eyes as they left the theatre. Wit really makes you think about where you stand right now, consider what matters to you, and imagine a life without those precious people in it. It was, in a word, stunning. May 5, 2014 / Chelsey Anne Rodowicz / Comments Off on What Inspires You? This past weekend, I traveled to my home town to see my little sister perform in a dance show. The show dramatized many classic novels, but it was told entirely through dance. It was an incredible production, and seeing this show made me extremely nostalgic, but ultimately reminded me how much I love to dance. After seeing this production, I was inspired to take a dance class at the University of Delaware in the fall and continue to stay involved in the Dance Minor Program. This semester, I performed in the Dance Minor Concert on campus in two pieces, and it was one of the best parts of my Spring Semester. I had the opportunity to work on a piece with a professor as well as a guest artist from another college. The concert really pushed me to expand my movement quality and adapt to different styles of dance. I realized that dance is what I love, and in order to be fully happy here I need to keep pursuing it. 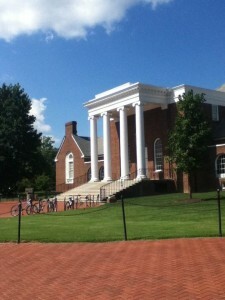 Before deciding on the University of Delaware, I anticipated attending a college in Pennsylvania as a BFA Dance Major. Now that I’m not majoring in dance, I need to find other ways to pursue it. Dance allows you to be someone that you’re not. I love becoming another character on stage and sharing the performance with everyone else in the number. All the shows I have done remain the most poignant memories in my head. Dance is definitely my passion, my inspiration. I love learning about what inspires other people and what drives them to do what they do. Especially in Honors, students have so many different talents. People are devoted to politics, the arts, research or their activities on campus. I love talking to all the 48 Honors students on my floor and hearing about their passions and backgrounds. My residents are passionate about service, clubs, and their classes. Dance is something that I do for myself. It is personally fulfilling and the art form inspires me. With finals coming up and the end of the year nearing, I think it is important to find time to do things you love or to take a short break from academics. Take an hour and write a short story, go out to lunch with your friends, or sing Disney songs on the green. Make time to do things that you love during the hectic final few days of school. This past weekend, when I saw my sister in her dance show, it hit me that she was halfway done with high school. Suddenly I realized that I am almost halfway done with college. It was a scary yet rewarding realization. I realized I only have two years left to make the most of my college experience before entering my career. I realized I only have two years left to make the most of doing what I love. For the next two years, I will truly make the most of my college experience…I’ll dance like no one is watching. My obsession for this little ball of fluff knows no bounds. Welcome folks, and now, it’s time for a word from our sponsors! 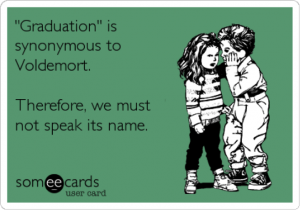 The following post was reluctantly brought to you by two new benefactors: Graduation Anxiety and Fear for the Future! In case of an emergency (which did happen, thanks to the whole having-a-severe-allergy shtick), my mom could rush down to Delaware, using the breakdown lane to prove that she’s really a speed demon at heart. On the flip side, being the homesick person I sometimes can be, which hinges a lot on how much I miss my puppy, being 5-6 hours away is a good thing. This way, I’m not tempted to jump in my car and jet home just to eat my dad’s mouthwatering homemade pizza for dinner. Side note: my dad moonlighted as a chef back in the day. His other careers include: psychiatric technician, carpenter, pilot (Air Force), author (of a book on how to achieve the perfect golf swing…no comment), and PGA golf professional, which is his current job. Did I mention that my dad is awesome? Driving through Connecticut always looks like this. Note: this picture was taken in a vehicle travelling at a whopping zero miles per hour. 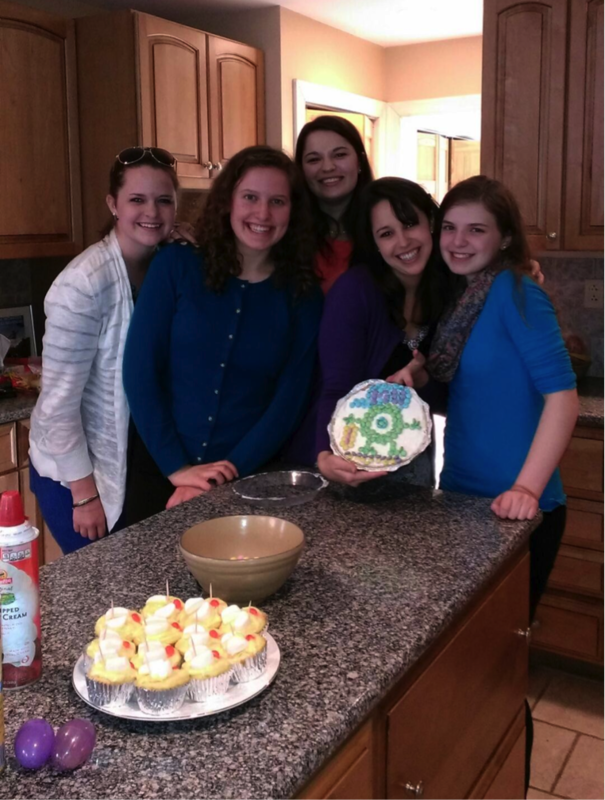 Once home, preparations turned toward Easter. I was excited to finally get together with some of my cousins/extended family, watch movies, and eat my dad’s premium cooking. The gang’s (mostly) all here – from my mom’s side of the family, anyway! I’m the one in the purple sweater, holding our perfectly handcrafted cream cheese pie. Megan, the college-bound child, is to my left with the curly hair. Here’s the thing, though: one of my cousins, Megan, is exactly four years younger than me. In other words, she’s about to start her whole college adventure just as mine is grinding to an abrupt halt. A large portion of Easter Sunday was spent talking about her three different college options around the dinner table (a.k.a. “Princess Table,” a name from my childhood referring to the makeup of mostly girl cousins), advice on how to choose a school, and what college itself is actually like. Not helping matters was the movie that we picked to watch together: Monsters University. If you haven’t seen the movie, or can’t guess from the title, this movie is about college. (I can hear the chorus of resounding “duh” noises.) I may or may not have cried at the end of this particular showing, because of that whole weighty college aspect. Also exacerbating the issue – re: me not wanting to partake in the G-word, as my roommate has taken to calling that mysterious event that happens in May – was my older cousin, Shannon. As Megan talked about choosing a college, Shannon, who graduated last year, kept saying things like, “Stop, I wish I was back!” Shannon has a job, working as a preschool teacher. I, on the other hand, am still figuring out my post-graduation path. I’m not going to sugar-coat the end of this post, with a clichéd final sentence like, “I just know I’ll figure it out soon and love my job and have a seamless transition into adulthood!” I’m still pretty unsure about everything. I do know, however, that I have a great family to fall back on if need be. And, I’m starting to warm up to the idea of a new chapter, not even just because it’s inevitable. Time to focus on that cream cheese pie from the above photo, decorated by all the cousins. 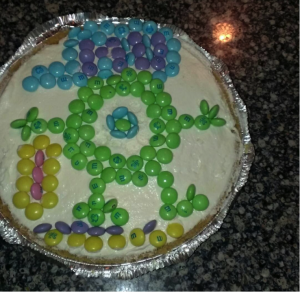 In my opinion, we created a beautiful rendition of Mike Wazowski, with a scream canister in his left hand. Before watching Monsters University, I didn’t know how the story of Mike Wazowski, a student who desperately wants to be a “scarer,” was going to pan out in time for Monsters, Inc. Spoiler alert: Mike doesn’t achieve his dreams in the traditional sense…but, he does find out what he’s capable of accomplishing. College is similar: your dreams may change (mine did), but oftentimes, you find out what you can actually do…and what you can survive. Like graduation itself, for instance. As a Secondary English Education major at UD, there are a great number of things I could tell (and even teach!) you about things you can learn in a classroom. Off the cuff, I could come up with at least a dozen “lessons within lessons” I’ve learned in classrooms throughout my college career alone. However, the most important piece of advice I’ve ever received in a classroom led me out of those rows of desks, out onto campus, and even farther out into the world. She went on to explain that any students who attended three events on campus and wrote up a short reaction paper for each would receive three points added to their final grade. Honors nerd? I’m sure I don’t need to tell you how quickly my mind leapt to seizing that extra credit opportunity. What this professor asked, however, turned out to be a little more daunting than I had expected. I consider myself an outgoing person (and for those of you reading on campus or at home, no knowing snickers from the peanut gallery), and I still found it challenging to attend events in which I wasn’t sure I’d even have an interest. Nevertheless, attend those sorts of events (and earn those three extra credit points!) I did, and continued to do for the next two semesters I intentionally took this professor’s classes. 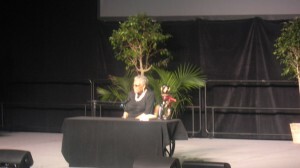 Maya Angelou at the University of Delaware. Some pearls of wisdom from the events I attended and activities I explored… The first and foremost is that there will always be more people than you anticipated at a gathering that coaxes attendees with free food; in other words, you should get there early to get the best of what they’ve ordered, and a seat for the actual event. I also learned that yoga happens to be much more athletic and exhausting than I’d supposed, but that those last five minutes where you just lie on the mat and listen to yourself breathe make the hour of human-pretzel making worth it. 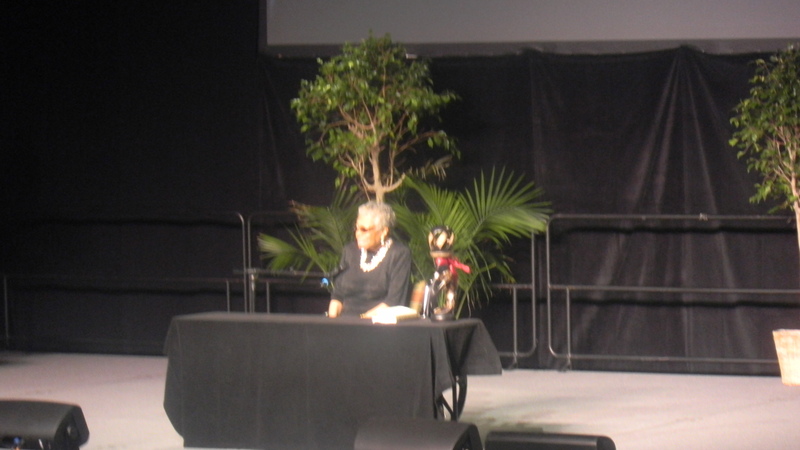 And when your university gets a guest speaker like Maya Angelou to come to campus and speak? You better believe you’re going, and you better believe it’s going to change your life. My bottom line? I’ve learned a lot inside my classrooms in my three years at UD, but I’ve learned just as much outside them, just being around the amazing people and opportunities the campus has to offer.